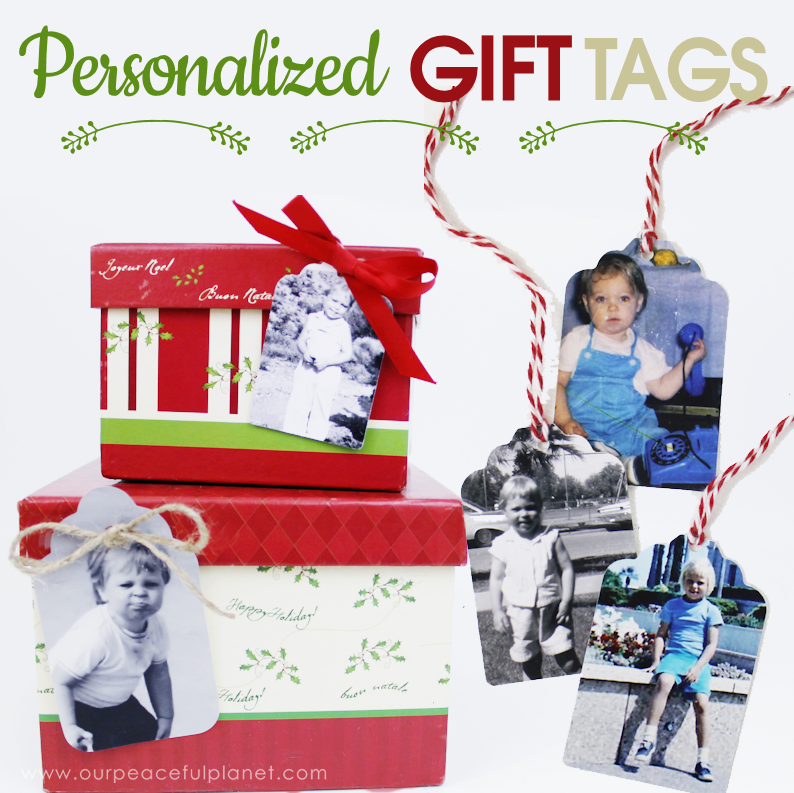 We created these personalized gift tags and they were a HUGE hit. We got a bunch of photos printed at the local 1 hour place and then sat down with a tag punch and punched away. If you have a large family, you can make it even more fun by using baby and child photos of adults. People LOVE looking at the tags and trying to figure out who is who. It makes an already special holiday even more so. All you need is a large tag punch. 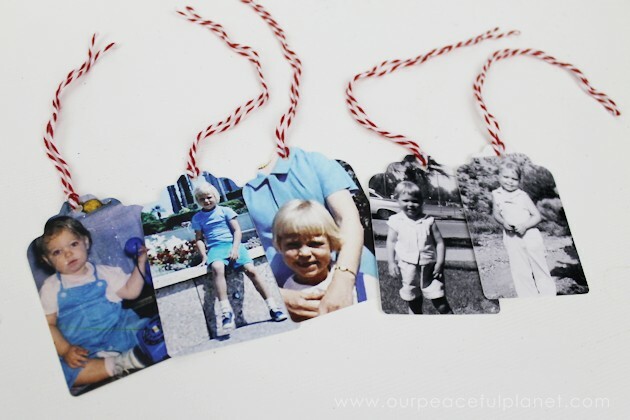 Making the tags is as much fun as finding them on the presents Christmas morning and even kids can do it. This means you don’t write names on the presents. Just attach the photo tag. Follow the simple directions below and you’ll be on your way to a very unique Christmas morning and it just might be the start of a new tradition for your family. 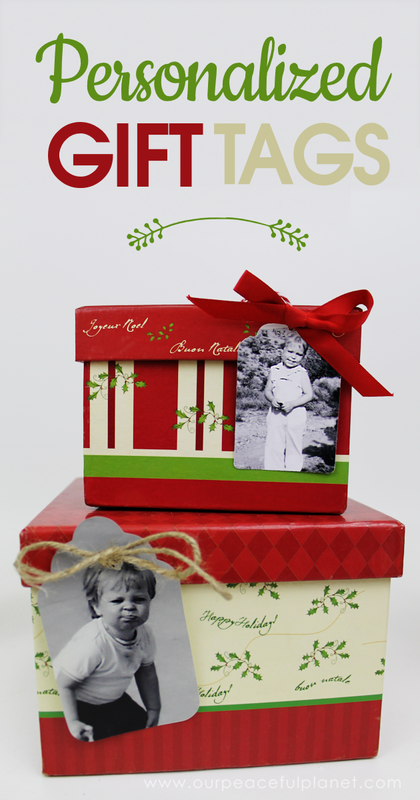 If you’d like some other tradition ideas take a peek at our kit for Christmas Eve Traditions. It’s FULL of specific ideas themes and printables! And if you’d like an incredibly unique way to package smaller items and use your personalized gift tag, check out our Christmas Gift Wrapping Ideas using Soda Bottles. NOTE ON PUNCHES: You want one that is large enough to get a photo or head into. We used a Recollections brand purchased at Hobby Lobby. Below are two that we found on Amazon that should work great. 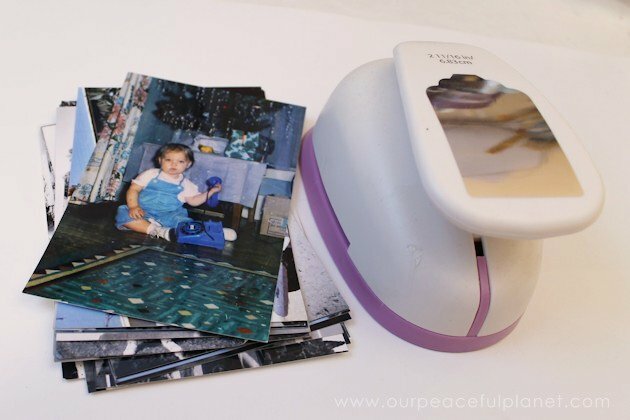 You can also print photos out on your home printer if you don’t mind using the ink. Black and white photos also work great for tags. If using a store for printing, use a place like Walgreen’s that always has specials. 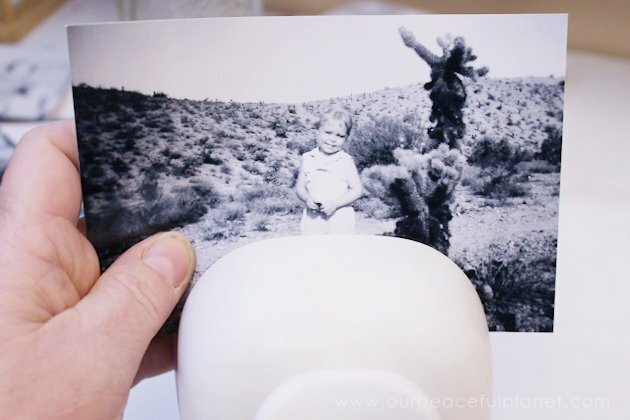 You can get 4 x 6 photos for pennies each on a regular basis. If you have time to order online, places like Shutterfly usually has going specials and does great work. 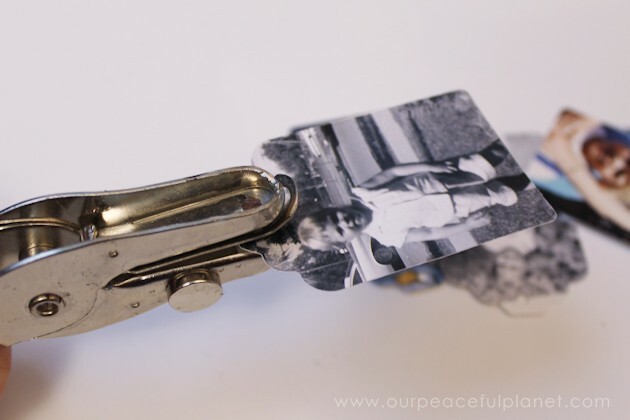 Small 1/8″ hole punch for string (For small tags) or you can just tape them on! All you need is a stack of photos and a tag punch. 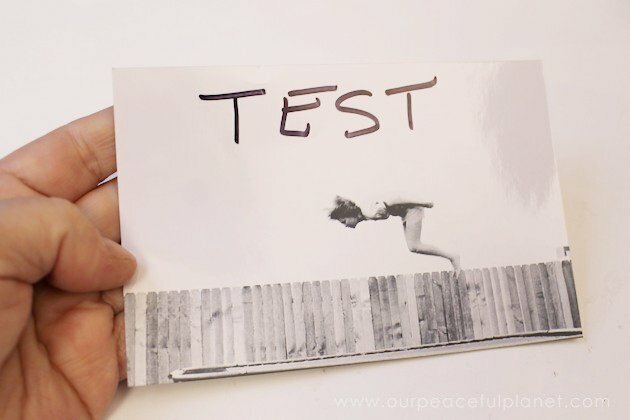 You’ll want a test photo to see how it punches. 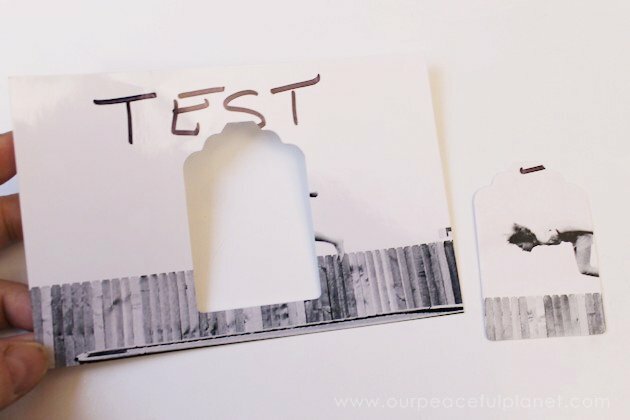 You can also use a 4×6 index card or piece of paper. Center your photo and make sure it’s pushed evenly all the way back against your punch. Punch the tag with firm even pressure. You can now see where it punched the hole. I can now lay my template over a normal picture and see where it will punch if I put my picture in the exact center. You will have many photos that you will have to trim to insert. It’s difficult to be exact with most punches. Just do the best you can! If you choose to tie your tags on with ribbons, you will need to punch a hole in them. 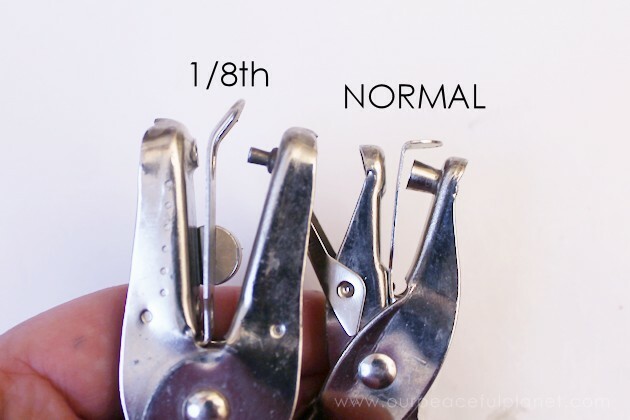 For smaller tags use a smaller hole punch. Punch the holes. Add string or ribbon. 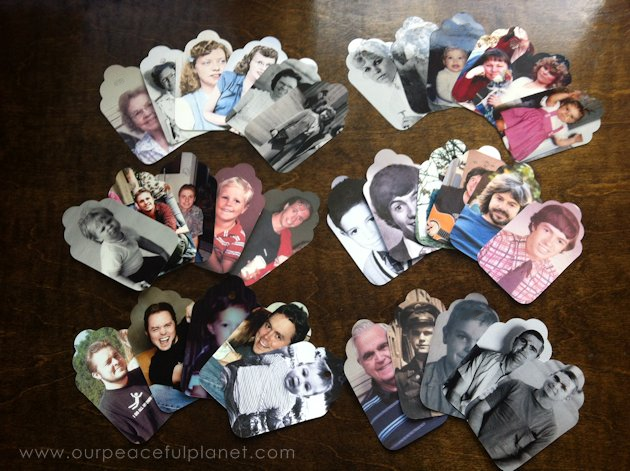 We did the entire family one year using old and new photos. This is an amazing idea ! Definitely worth trying. Thank you for sharing. Your photo tag idea is exactly what I need. I like that it’s quick too. This is a neat idea. There is another one My Mother and I planned on doing, but she passed before we could do it. Get all your family pictures together. 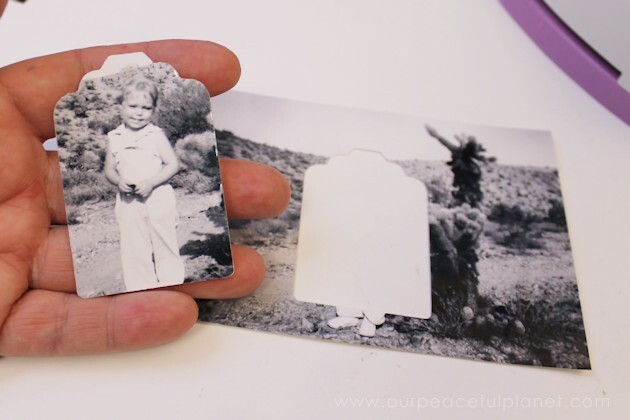 Include all family history pictures as far back as you remember. 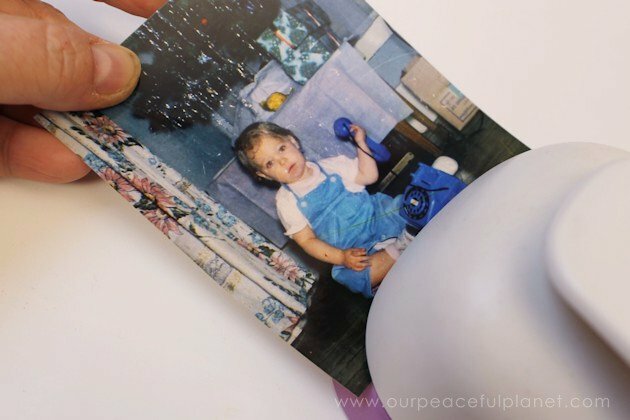 Make copies of each so you have enough for each child and grand child. Make extras in case more family members request them. 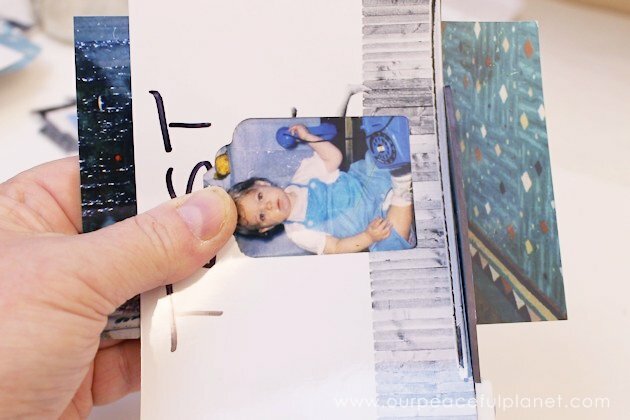 Get enough photo albums to have one for each person. 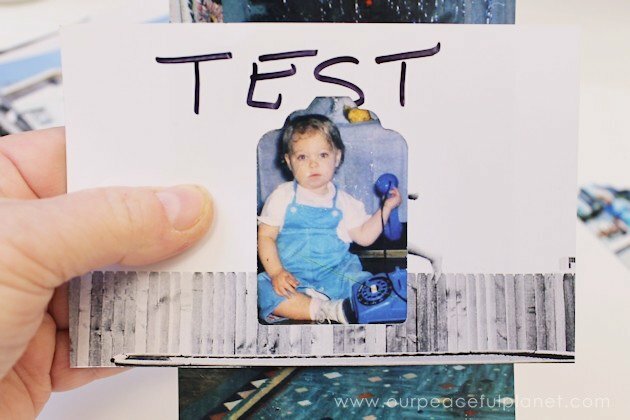 Label each photo on the back in pencil name, age, date of photo, date of birth, marriage, death, residence, job, whatever you know or can find out for each one. Then put a piece of magic tape over each one to preserve the information. 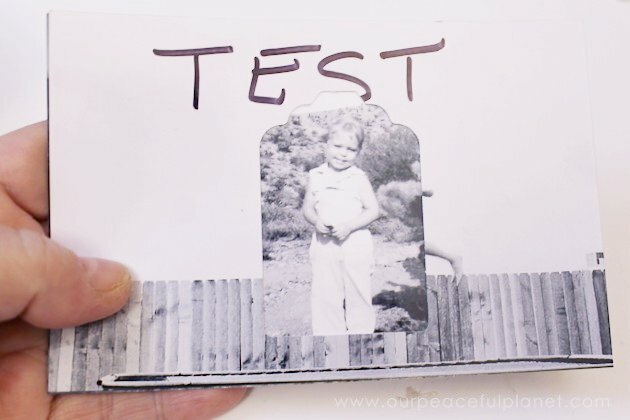 Make a label to put under the photo and add the photo in a secure fashion (corners come unglued very soon. It will take a little time but you will have a unique present of family history to each one. Plus if someone ever decides to do a family genealogy, you will give them an excellent source to start at. Another little project would be an address book, include all extended family with current addresses and phone numbers. These make excellent gifts to graduates of HS and College, a private gift to the bride or groom from Mother. Or Mother in Law. 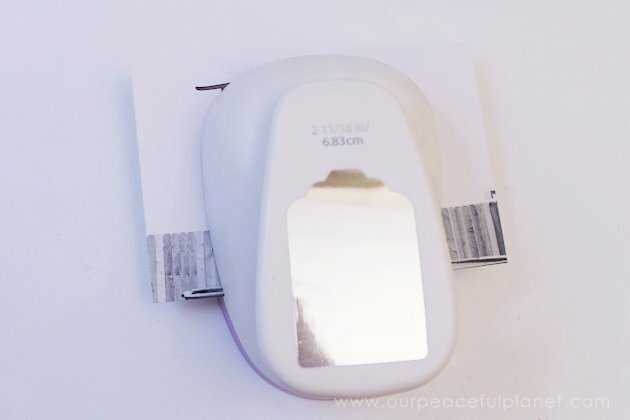 If your labels are the right size, a credit card holder to keep them in would be nice. 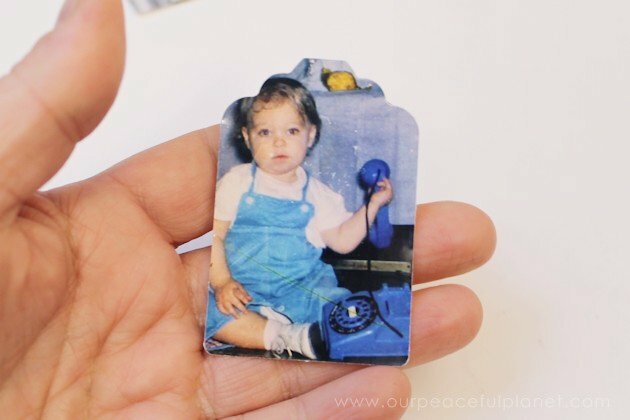 Or you can make a special photo keepsake album for each child with copies of their personal picture from new born to 18 or college graduation, or ending with private pictures from their Wedding, beyond the professional pictures. I like your Christmas tags, I enjoyed your renovation pictures as well. That wallpaper? Goes back even further I think. When I was a child my Mother had that style wall paper. I strongly remember life size Cardinals perched on branches with leaves, all over the Dining Room walls and Avocado wall paper with large pink and red geraniumsin the Kitchen. My bedroom was white with life size strawberries on plants. That was dated to the late forty’s. I am 61. The cabinets are original and probably were originally white. The stove is a later vintage and the fridge is relatively new. Avocado got big in the 50’s, the cabinets looked to be that color. I love the sort of Art Deco small appliances. Some day when you have some extra cash. They now make combination microwave/exhaust fans for over the stove, they generally have built in task lighting that is very helpful. There are even some that are micro/convection combinations. Convection is really nice especially for pies, cakes, and other delicate items. Task lighting over the sink and under cabinets is great and will be a selling point. Eventually you might want an island for prep space. I recently saw one on Pinterest that was on wheels with locks. Roll in when needed, roll out when done. There are shelving units to be installed in Lower cabinets. These snap up to counterheight to hold a stand mixer or food processor or other useful but not everyday things. They can be stored in the cabinet. If eventually you think about the island you could move the French Bakers rack out. Put the rolling island there and build an appliance garage over head or open shelving. There are large two level lazy Susan accessories for corner cabinets that will give you more storage for your pans, that way you won’t take up pantry space with them, but they remain instantly accessible. Thank you for a most enjoyable afternoon, I will be be back soon to check out recipes. I already got the plans for the lazy Susan, and the. Candy cane candles, they would also be great with Red Christmas Elves or Santa Clauses for the Children’s Tables. I might search out some red plates or white during thrift shops and yard sales to glue the bottoms of the candy canes too. That might stabilize the candle so it can’t be knocked over. Or use battery tapers. I love the Pointsettias. Visit my Pinterest boards any time all are always welcome with no restrictions. Thank you so much MaryAnn for visiting my site. I’m so happy you’ve found some things of interest! You certainly have plenty of ideas yourself! I love your tags, and cards! You have some terrific ideas.